Mayors across the country have been lining up in droves to declare themselves sanctuary cities, Breitbart Texas reported in November 2016. Chicago Mayor Rahm Emanuel said, “Chicago always will be a sanctuary city,” NPR reported. “To all those who are, after Tuesday’s election, very nervous and filled with anxiety … you are safe in Chicago, you are secure in Chicago and you are supported in Chicago.” His comments come in the face of the city’s massive crime and murder rates. By the end of the year, Chicago would approach 800 murders by the end of 2016. In Texas, a newly sworn-in sheriff, dubbed by her opponent in the race with the moniker “Sanctuary Sally,” told the Travis County budget director she would no longer be able to certify her department was in compliance with laws requiring cooperation with immigration officials. The move will put her department, and county residents, at risk of losing $1.8 million in state funding. Federal funding could also be stripped under existing law. Representative John Culberson (R-TX) worked with the DOJ throughout 2016 to force the department to certify the top-ten sanctuary jurisdictions and use this existing law to cut off their funds for grants awarded in 2017. He cited the murder of Kate Steinle in San Francisco as an example of a sanctuary city putting Americans’ lives at risk. Steinle was murdered in July 2015 by an illegal immigrant who had been released from jail months earlier by the sheriff who refused to honor an immigration detainer. He had previously been deported five times. Since that time, San Francisco Mayor Ed Lee doubled down on his city’s sanctuary status. “San Francisco is a sanctuary city and will not waiver in its commitment to protect the rights of all its residents,” Lee told local reporters. His bill awaits a hearing in the House Judiciary Committee chaired by Rep. Bob Goodlate (R-VA) before it can move to the House floor for a vote. Chairman Goodlatte has been harshly critical of the Department of Homeland Security (DHS) over sanctuary cities. 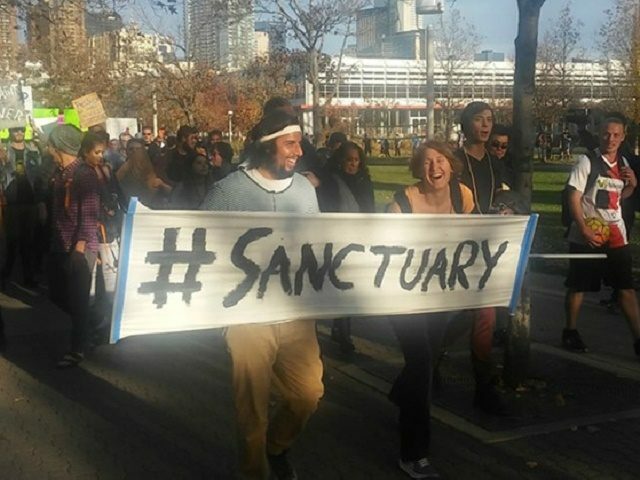 “While I agree that sanctuary city policies are unacceptable, it’s hypocritical for Secretary Johnson to criticize sanctuary cities while at the same time refusing to take the steps necessary to end these reckless policies,” Goodlatte said to outgoing DHS Secretary Jeh Johnson during a hearing in September 2015.